​Mowing your lawn can be time consuming, but if you feel that you do not have the time to dedicate to it, then there is a solution that is available to you. By contacting us here at Siesta Lawn Care, you will be putting the management of your lawn in the hands of a company that is not only highly experienced at what they do, but also one that offers a professional and friendly service to all of its customers. Our experience means that we understand what makes a lawn perfect, and that even includes the general care as well as the mowing. There is so much more to it than just mowing and thinking that everything has been done as it is our aim to provide you with the best lawn in the area thanks to the high level of expertise that we are able to apply. Having a lawn that has been mown perfectly makes a real statement. However, some people can mow it too short at the wrong time leading to issues developing with the state of the lawn that can then be difficult to reverse without the correct level of understanding. That is something that we are able to help you to avoid, and all you need to do is to get in touch and take advantage of our mowing service. Looking after a lawn can be a real art form. Getting it looking pristine and lush is something that we excel at since we know all about the nutrients that it requires in order to get it to look its best. However, even with this part, you need to be careful simply because of the potential for providing your lawn with the wrong amount of feeding at the wrong time that can ultimately spell disaster. By contacting us, you will manage to stop that from happening, and you can then look forward to having the kind of lawn that you have always wanted. Furthermore, by using our mowing service, it also means that our team of highly trained lawn experts will be able to identify any potential issues at the earliest possible stages. This will then, in turn, allow us to discuss them with you and deal with them before the problem gets too big or difficult to turn around allowing you to continue to have that wonderful lawn that you have always wanted. 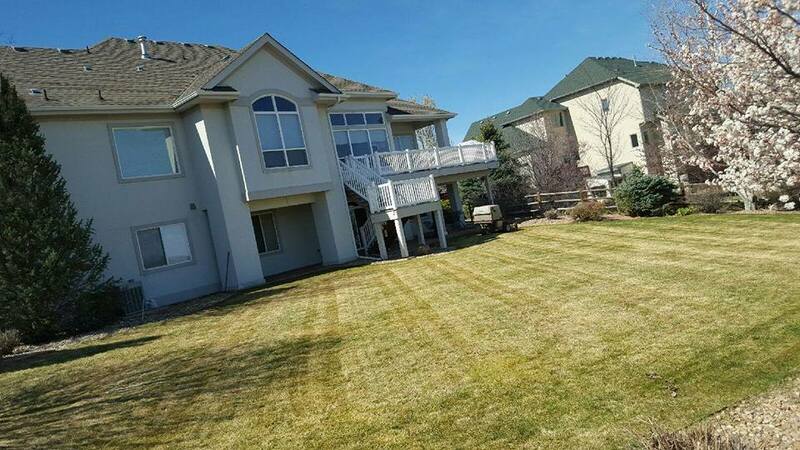 So, why put yourself through the strain of trying to care for your lawn when there is the perfect Fort Collins mowing service available? All you need to do is to contact us here at Siesta Lawn Care and we will be more than happy to help. Give us a call today and we can start to take wonderful care of your lawn immediately.